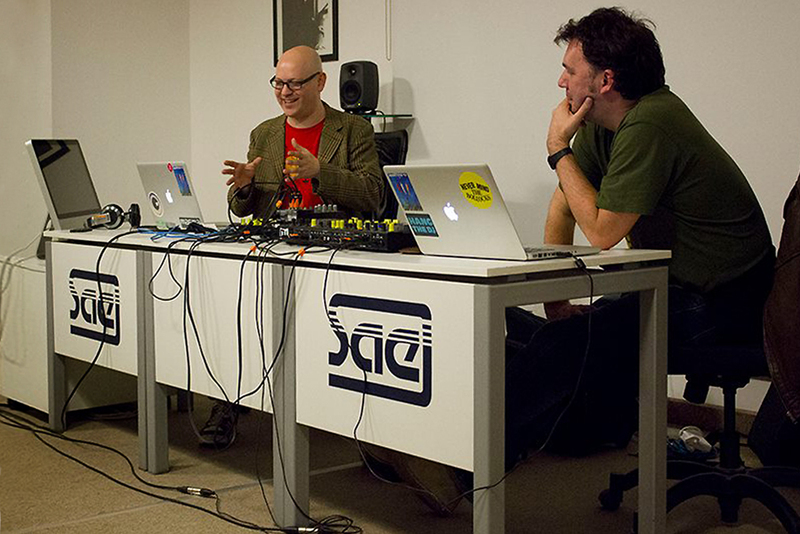 Whilst in Istanbul this month performing our other audiovisual set at Ghetto Club we also gave talks about our work at both Istanbul’s School of Audio Engineering and at Bahçeşehir University. 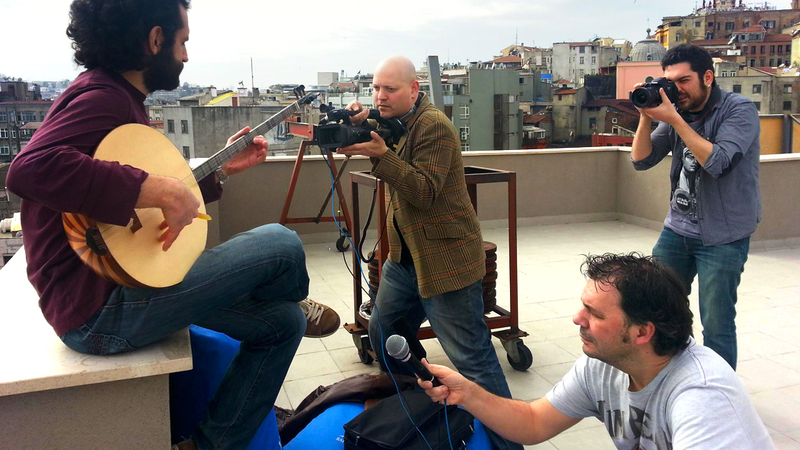 The university also arranged for us to film on their roof terrace with the amazing Tanbur player Korkutalp Bilgin. The tanbur is the very long necked stringed instrument usually found in Turkey, the Middle East and Southern & Central Asia. Having studied and performed with the remaining great masters of Turkish maqam music, Korkutalp is regarded as one of the pioneering Tanbur players of the new generation. Korky (as we nicknamed him!) further developed the techniques he’d learned, adopting his electric guitar skills and re-exploring the lost style of the great Turkish composer Mesud Cemil, which involves resonating of the harmonics particular to the Tanbur. His experimentations in playing various styles of music, from pop to folk and jazz have taken him to perform in all manner of situations, even high-up on a mountain at 2500 metres! 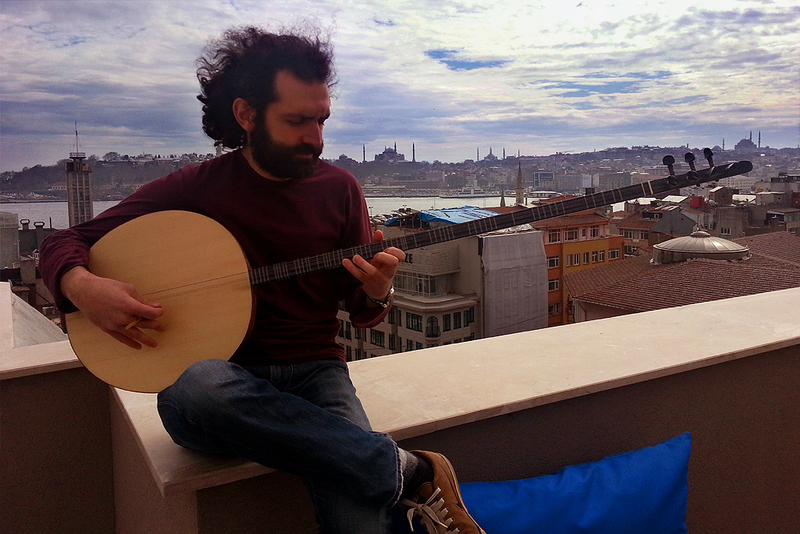 He’s still studying his PhD in Musicology and Music Theory at ITU – Istanbul Technical University – and often plays in the traditional bands Mızıkçı Melodiler and Andan İçeri. 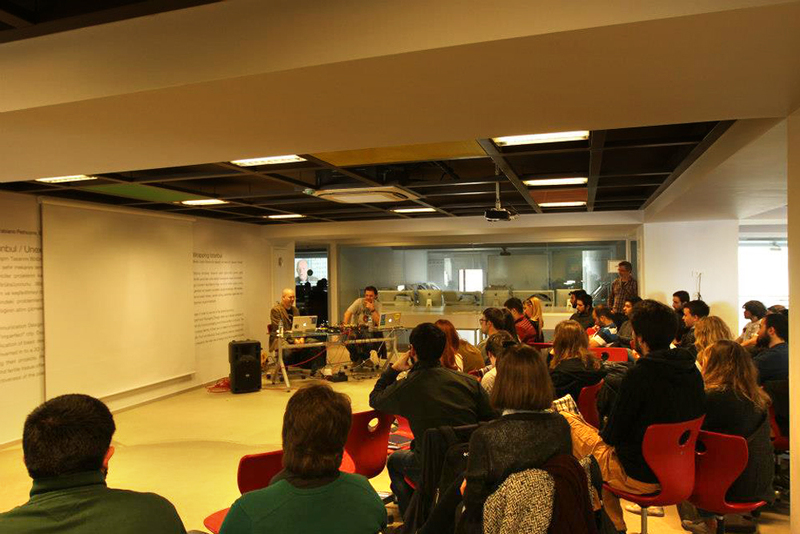 With huge thanks to Güven Çatak! Later in the afternoon, just after soundcheck for the evening’s gig, we recorded drummer Orkun Tunc, who’s actually the promoter who brought us to Turkey. 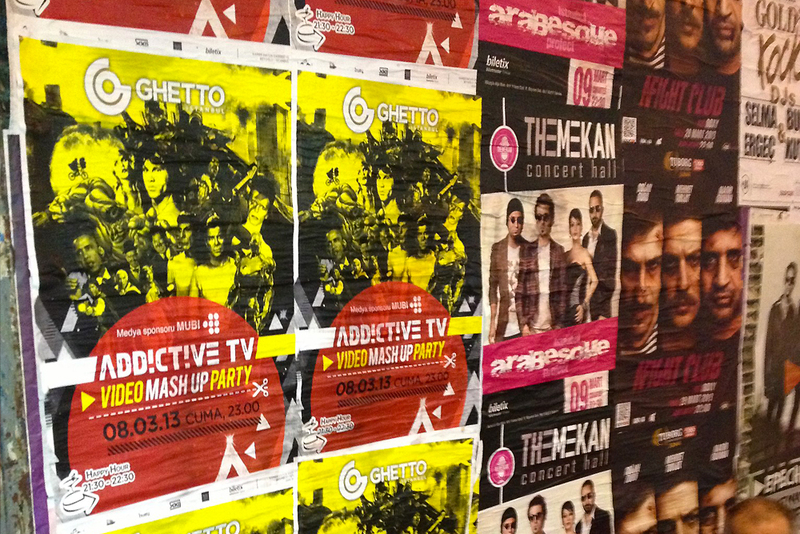 Working with the brilliant Ghetto club in Istanbul, Orkun also joined us on stage to drum live on a number of tracks. We’ve known Orkun for years, after first meeting him back in 2007 when we played a gig in Germany. 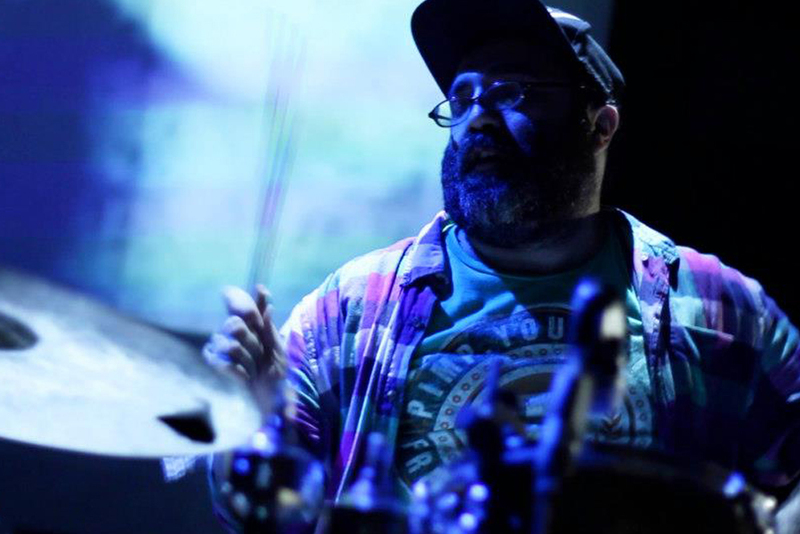 An avid music collector, promoter, producer and musician, Orkun is the drummer for Rashit, the Turkish post-punk rock band who are considered to be the first major Turkish representative of punk rock. 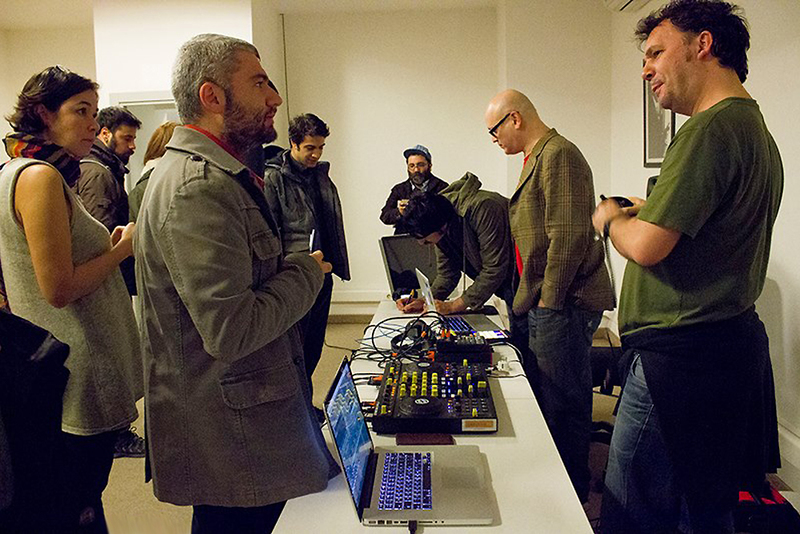 Inspiring a number of bands and a whole new local scene in the late 1990s, Rashit played an important role in the development of modern urban music in Turkey. 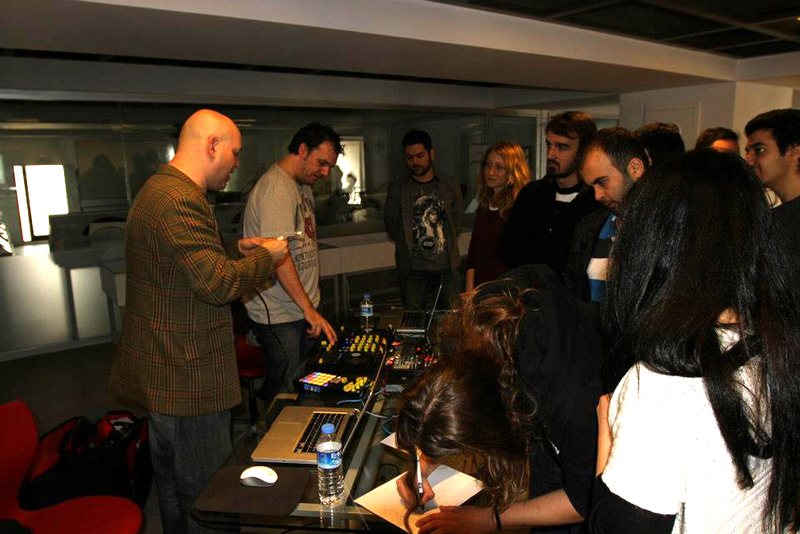 Their fourth album İnsan neslinin Sonu was released at the end of 2012. Orkun is also one half of the production duo and DJs Armageddon Turk with Taner Yurdunkulu, who’ve remixed artists from Rashit to Victoria Wilson James (from Soul II Soul).